Looking for a Drug Rehab or Alcohol Rehabilitation in Pennsylvania? Drug rehab in Pennsylvania is available in a number of different treatment settings and lengths. There are inpatient and outpatient drug rehab programs as well as short-term and long-term rehabilitation centers. To determine which type of drug rehab in Pennsylvania will best fit the addict's needs, it is a good idea to speak with a treatment professional. Addiction counselors as well as mental health professionals can assist in the process of choosing which program will provide the addicted person with the right level of care. Typically, the treatment professional will ask the prospective client about their past drug and alcohol use as well as go over any rehabilitation experience they have already received. Based on the feedback, the counselor will advise on the type and length of treatment. Annually, the National Survey of Substance Abuse Treatment Services (N-SSATS) compiles data on each state's drug rehab programs. The most recent survey conducted on March 29, 2013 reported there were 246 drug rehab programs in Pennsylvania providing addiction rehabilitation services to 21,898 individuals on that date. A similar survey assembled by the Treatment Episode Data Set (TEDS) in 2013 noted Pennsylvania drug rehab centers helped a total of 44,971 individuals during 2013, and 42,205 individuals during 2014. The most recent 2014 TEDS statistics indicate heroin is the primary substance of abuse sending residents into drug rehab in Pennsylvania. 15,962 individuals, making up 37.8% of all Pennsylvania drug rehab enrollments noted heroin as their primary substance of abuse and reason for enrolling in treatment. Recognizing heroin addiction as a chronic issue that requires long-term treatment. Developing additional long-term treatment options for heroin addiction, such as residential rehab, halfway houses, outpatient peer counseling and access to medication. Educating current and future Pennsylvania physicians about the dangers of over-prescribing pain management drugs as well as teaching about substance abuse. Developing a certificate program for primary care physicians and first responders in behavioral health and substance abuse. Establishing uniform standards for county coroners to report heroin deaths. Expanding the number of Pennsylvania police departments using naloxone to treat overdose cases. Alcohol addiction was the second leading reason behind Pennsylvania drug rehab enrollments in 2014 following heroin. 23.6% of all Pennsylvania drug and alcohol treatment admissions cited alcohol as their primary substance of abuse and 6.3% cited alcohol with a secondary drug as their reason for receiving treatment. The ratio of admissions for alcohol treatment in Pennsylvania in 2014 was 76.5% male and 23.5% female, with the largest age group being between 26-30 years old. Statistics from the 2014 SAMHSA report notes Pennsylvania's percentage of alcohol abuse and addiction rates among residents 12 and older was similar to the national average at the time. Between 2012 and 2013, Pennsylvania's rate of past-year alcohol abuse and dependence was estimated at 6.5% whereas the national average was 6.7%. Inpatient vs outpatient treatment in Pennsylvania offers different rehabilitation environments, lengths of care and program methods. According to the Substance Abuse and Mental health Services Administration (SAMHSA), 27.5% of Pennsylvania's drug rehab programs are inpatient or residential treatment facilities. Each program has an average of 38 beds that are filled 92.9% of the time. It is common for a program to offer more than one length of treatment. The inpatient treatment programs in Pennsylvania can be further divided into length of treatment: 23.5% provide long-term care, 14.2% provide short-term care and 6.6% provide detoxification programs. On the other hand, 79.2% of the drug rehab programs in Pennsylvania are outpatient treatment facilities. Of these outpatient treatment programs, 75.6% offer regular outpatient care, 12.6% offer methadone maintenance, 46.2% offer intensive outpatient treatment, 14.5% offer day treatment and 6.2% offer detoxification services. In the most recent 2011 study conducted by TEDS on Discharges from Substance Abuse Treatment Services, the completion rate for inpatient drug rehab programs was found to be higher than outpatient programs. In this study, 54% of short-term inpatient rehab clients completed treatment, 53% of hospital inpatient rehab clients completed treatment and 45% of long-term inpatient rehab clients completed treatment. The number of outpatient drug rehab graduates in this study was considerably less; only 37% of regular outpatient rehab clients completed treatment, 33% of intensive outpatient rehab clients completed treatment and a mere 12% of outpatient medication-assisted opioid therapy rehab clients completed treatment. With these statistics in mind the decision to enroll in an inpatient drug rehab program in Pennsylvania will likely lead to a more successful recovery outcome. What Does Inpatient Rehab in Pennsylvania Involve? Enrolling in an inpatient program involves committing to living in the rehab program for a period of time. The client will need to bring with them their personal belongings such as clothing and toiletries. Typically, sleeping accommodations are provided by the inpatient program as well as nutritious meals and snacks. During the program participant's time in treatment they can expect to have a structured schedule, with meals and free-time allotted for. The length of treatment for inpatient rehab varies depending on if the program is short-term or long-term. Generally speaking, short-term treatment lasts less than 30 days and long-term treatment lasts 90 days. Pennsylvania has 147 inpatient and residential treatment programs (2013 N-SSATS report). Many inpatient treatment centers in Pennsylvania offer different lengths of care, and of the 147 inpatient programs in the state: 81 offered short-term care, 118 offered long-term care and 43 offered detoxification services. Considering an inpatient treatment center in Pennsylvania? 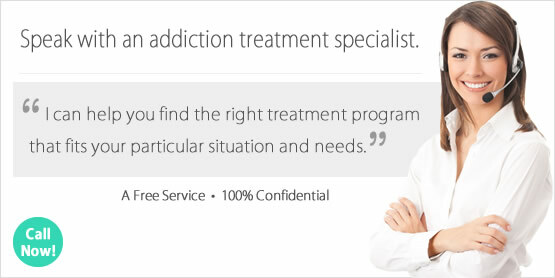 Our addiction specialists can help determine what options are available. What Does Outpatient Rehab in Pennsylvania Involve? When a person chooses to enroll in outpatient treatment in Pennsylvania they are required to maintain their sobriety. Some facilities conduct drug testing to determine if their clients are adhering to their rules of sobriety. This type of treatment takes a strong commitment to attending the program. Clients continue to live at home during their program and must be self-motivated to get themselves to the rehab center. Individuals who are either unable or unwilling to attend the program as scheduled will find little to no success through outpatient treatment in Pennsylvania. The 2013 N-SSATS report indicates there was a total of 406 programs offering outpatient treatment in Pennsylvania. Similar to inpatient rehab, many outpatient treatment centers provide various lengths and types of services. Of the 406 outpatient facilities in Pennsylvania: 386 offered regular outpatient care, 249 offered intensive outpatient care, 68 offered day treatment or partial hospitalization, 33 offered detoxification services, and 100 offered methadone maintenance or other forms of drug substitution therapy. The search for the right outpatient treatment program in Pennsylvania can be made easier with our help. Contact us today for assistance in choosing the right program to help you or your loved one to overcome addiction once and for all.